Join the conversation at our next [#NFGTips Webinar] "First impressions count! Direct Mail and Email Design Strategies That Drive Higher ROI…Just in Time for Your Spring Campaign." How your fundraising appeal looks can be just as important as its content. This webinar will review tips and best practices for designing your direct mail and email appeal letters so your solicitations result in higher donations and response rates. 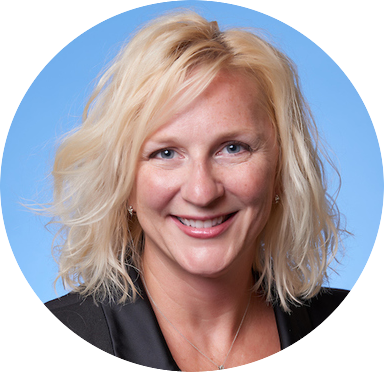 Having worked as an Executive Director, Chief Philanthropy Officer, fundraising consultant, and advisor to hundreds of nonprofits, Kimberly has spent nearly 25 years blending fundraising, marketing, and sales principles to scale dollars raised and strengthen donor and stakeholder engagement. Working as a fundraiser for small and mid-sized organizations, she has exceeded every fundraising goal given and leveraged best practices to make each fundraising activity a better version of the last. Kimberly has also presented at numerous nonprofit conferences and webinars, and written/contributed to white papers and articles on major gift development, prospect research, evaluating ROI from fundraising, and many other topics. For 11 years, she was an adjunct professor at Georgetown and George Mason Universities, where she taught an undergraduate course on nonprofit leadership. Kimberly is currently the Lead Fundraising Coach at Network for Good. For more information on Kimberly, please visit: https://www.linkedin.com/in/kimberlyodonnellmullins.